All 9 Wee Ones Patterns, plus toadstools and log cabins. Includes one copy each, assembly instructions, and enhanced paper piecing instructions! 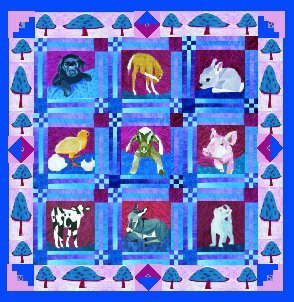 Includes assembly instructions, all printed patterns, and fabric for all animals. Additionally, you will need to purchase background, border and toadstool fabric.